When she began her college search, the Honorable Wanda Keyes Heard ‘79, political science, knew very little about UMBC. But when she and her family — then living in Long Island, New York — returned from a visit to schools in the DC area, they decided to stop by the new university in Catonsville. That chance decision would change Wanda’s life. “I fell in love with UMBC,” she says. That means a lot coming from Wanda, whose father Sterling Keyes, was a veteran educator and civil rights activist who impressed upon her from an early age the importance of education. And so she came to UMBC, where she would study political science and launch her career as a lawyer and then Baltimore Circuit Court judge. Wanda’s decision isn’t surprising. 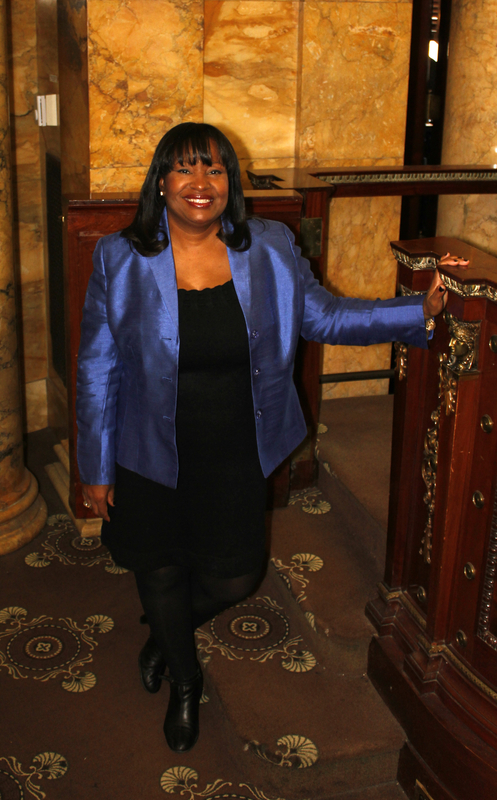 Throughout her career as a judge for the Baltimore City Circuit Court, she has been paying it forward. She’s an avid supporter of UMBC’s Second Generation scholarship, and she’s also given students–many of them from her alma mater–the opportunity to gain invaluable career experience as interns in her office. It’s that kind of experience that rounds out an education and launches careers. In Wanda’s case, that print was indelible, and was made by her experiences both in and out of the classroom. Wanda was active in the Student Government Association, joined the Zeta Phi Beta Sorority and worked as a Resident Assistant. Each and every one of those activities left a distinct mark on her, she says, and showed her the importance of getting involved with and contributing to her community. In fact, for Wanda, education, service and giving back are inextricably intertwined. “If you went to UMBC, giving back comes naturally,” she says. And that dedication to service and giving will now come full circle. Through her planned gift to UMBC, Wanda is ensuring future generations will have the same amazing educational and career opportunities that she did. Learn more about making a planned gift like Wanda’s.